School kids helps raise money for youth mentoring project. 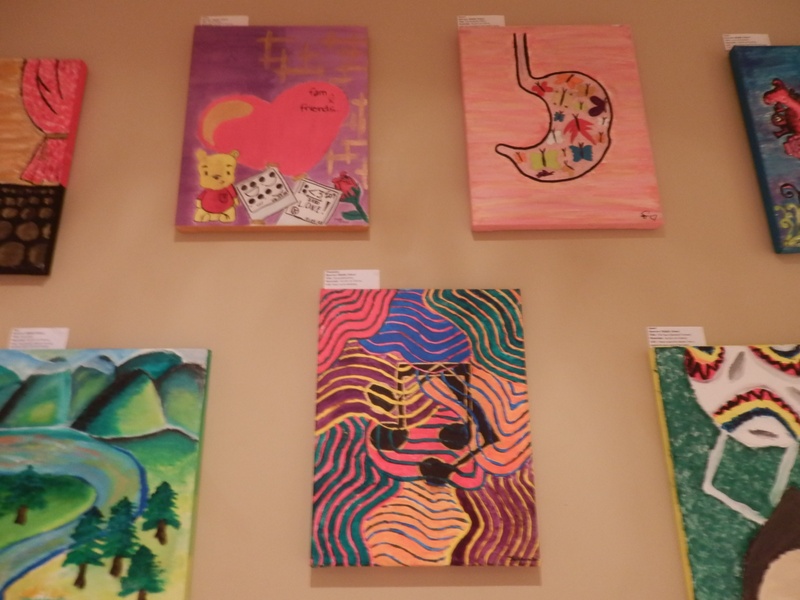 Local school students and youth from a local mentoring project recently participated in an art show for charity at the Seasons Family Centre (655 Davenport Rd.). The art pieces, contributed by students of the Howlett Academy (15 Madison Ave.) and a number of other schools, including Donview Middle School, raised $250 for the Academy of Lions Foundation, a not-for-profit organization dedicated to teaching youth about healthy living. “We work with youth in the community. Roots Canada approached us with a mentorship-based, entrepreneurial project focusing on athletics, health and fitness. Back in 2011, we partnered, and now we’re in our final week of the pilot project,” said Ashley Holland, a representative from Roots Canada. The Seasons Family Centre has been part of the project since February, and Nikki Goldman-Stroh, the Centre’s director, along with the centre’s other staff, work with youth on a regular basis. Goldman-Stroh, who opened the centre in September 2011, was one of 50 people chosen from the wellness industry in Toronto to be a part of the project by Roots Village. Seasons offers classes for all ages, from infant to adult, and puts on workshops, hosts birthday parties, runs March Break and summer camps in expressive art, baking and cooking, and delivers programs that include yoga and dance classes. “A part of what we pride ourselves with is that we have smaller class sizes so that’s really appealing to a lot of parents,” she said.